During the weekend after July Fourth, two children drowned and another was seriously injured in three separate swimming pool incidents. In one incident, witnesses found a 5-year-old girl face down in the Harbor Lakes Resort pool. First responders rushed her to a nearby hospital, but she did not survive her injuries. A similar incident took place at the Mystic Dunes Resort in Osceola County. There, first responders performed CPR on a young boy whom they fished out of the water, but he died shortly thereafter. Finally, a 7-year-old boy nearly drowned at the Orlando World Center Marriott pool, but he is still clinging to life at a nearby hospital. In light of these incidents, the Orange County Sheriff’s Office posted a public warning and some pool safety tips on its Facebook site. In premises liability cases, such as slip-and-fall and swimming pool injuries, Florida law basically divides victims into invitees, licensees, and trespassers. 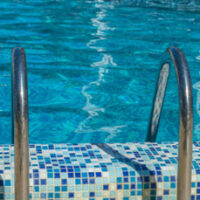 As a general rule, swimming pool injuries include both drownings and poisonings. Sometimes owners use too many harsh chemicals and the water becomes dangerous; other times, the water is not clean enough and people get violently ill. Typically, swimming pool drowning victims are either invitees or trespassers. Under normal Florida premises liability rules, it’s rather easy to establish liability in invitee cases and almost impossible to do so with regard to trespassers. But as explained below, the normal rules sometimes do not apply in these cases. By definition, invitees are people who respond to a direct or indirect invitation and benefit the landowner because of their mere presence. People at backyard swimming parties are invitees because the owner receives a social benefit. Likewise, people who go to community pools are invitees because they, or their loved ones, pay homeowners’ association or other dues. If the victim was an invitee, the owner has a duty of reasonable care. If the owner’s conduct falls below that standard, and this dereliction causes injury, the owner is liable for damages. To many people, a “trespasser” is only someone like a burglar or a home invader. Yet in the negligence context, this word has a much broader meaning. A “trespasser” is simply someone who does not have permission to be on the land and whose presence does not benefit the owner. Landowners owe no duty toward trespassers. There are several exceptions to the trespasser doctrine, and one of them is the attractive nuisance rule. It applies to swimming pools and other places where uninvited children are likely to play. If these attractive nuisances cause injury, the landowner may still be liable for damages. In serious injury cases, these damages usually include compensation for both economic losses, such as medical bills, and noneconomic losses, such as pain and suffering. Many swimming pool injuries are among the most catastrophic kinds of personal injuries that we see when helping families. For a free consultation with an experienced personal injury attorney in Tampa, contact The Matassini Law Firm, P.A. Home and hospital visits are available.